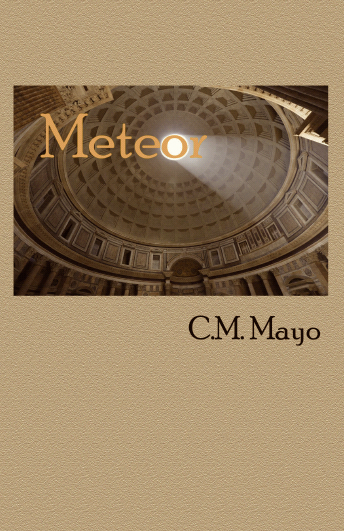 Meteor is a pocket-constellation of persona poems. In other words, these are not memoir but confections of the imagination. They are also— to steal part of the title of an anthology in which the title poem appeared— my goodbye to the Twentieth Century. (That anthology was American Poets Say Goodbye to the Twentieth Century, edited by Andrei Codrescu and Laura Rosenthal.) I think of this collection, starting with “Meteor” and ending with “The Building of Quality,” as my song to and of the twilight of the Pax Americana. What boundaries did you break in the writing of this book? Where does that sort of courage come from? I don’t know if there is a boundary between poetry and fiction, but if there is I broke it. Many of of these poems I had originally considered flash or micro fictions, and indeed a few were originally published as short stories— but then I had too much fun chopping up and arranging stanzas! Does this take courage? Yes and no. Yes, because making any art takes courage; there is always the risk that someone, for whatever bizarre or valid reason, may attack your work. On the other hand, no, this does not require courage. I’m old enough to realize it’s just sad that someone who would attack my work doesn’t have anything better to do. In my experience, those who attack other artists are even better at attacking themselves. It was mostly low, as in deep down in the salt mines, nicely preserved. These poems were written by a younger poet who moved on to writing tomes of nonfiction and an epic historical novel and, somewhere in there, edited a literary magazine and a collection of Mexican writing in translation. From my informal polling of published poets it can take many, many, many and multitudinous submissions before a book of poetry gets published. Let’s just say, that sounds believable to me. In the poetry world a common path to publication is to submit your manuscript to a contest to be judged anonymously—your name and address and any other identifying information stripped off the manuscript. I submitted the manuscript to contests, but irregularly, lackadaisically. About a year ago I decided it was time to make this happen and, bingo, it did. Linwood D. Rumney, author of Abandoned Earth, who selected Meteor for the Gival Press Award for Poetry, and whom I look forward to meeting one day, I send you showers of lotus petals! If you want to do it, you’ll do it. If you want to watch TV and scroll through social media, you’ll do that. You could train a giraffe to ice-skate, if you really wanted to. Now whether there’s a market that wants to fill a stadium to watch your ice-skating giraffe, that’s another question. And the market isn’t everything. Sometimes the market is just stupid. I’m thinking of Roman entertainments. They liked to watch giraffes getting gored by rhinos. The same thing that has surprised me in writing all of my books, that there is a door in consciousness that opens. Someone who can contemplate nuance and ambiguity and, above all, see with the heart. No, but I will be delighted to share my recipe for baba ghanoush. Roast a bunch of eggplants whole. When cool, peel off the skins. With a fork, mash the eggplant with tahini, lemon juice, salt, pepper, olive oil, and plain good quality yoghurt. This will look like a nasty grey mess, but that’s OK, it tastes great. Sprinkle parsley and paprika on top for both added flavor and color. NOTE: Look for C.M. Mayo at the AWP Conference in Portland in March!